The mystery of who the men behind Michelle Dockery in her Ice Bucket Challenge video are will haunt me for a long time. At least a week. Maybe longer! 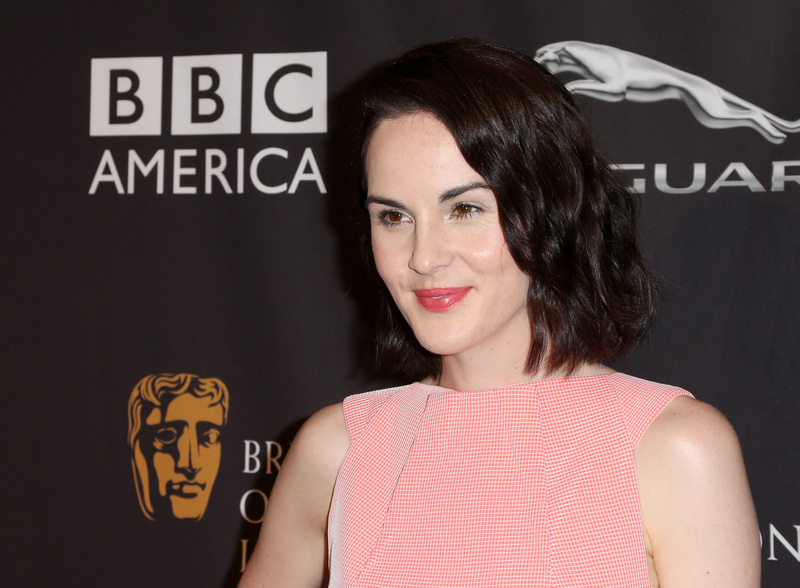 But really, Lady Mary, what mischief are you up to these days? The Downton Abbey star, who is up for the Outstanding Actress in a Drama award at this Monday's Emmys, decorated the backround of her icy experience with shirtless well-groomed men in gold lame swimsuits. Bless her for this. What was the thought process? Who of her friends did she call first to ask this favor? What was the day like, before and after this video was taken? I'm honestly just assuming it was brunch and endless mimosas — mainly because the copious amount of screaming Dockery does when she gets doused with that water is more assumed after four mimosas than after none. In any case, I kind of want to go to there. Sure, other people have have strangers in the background of their Ice Bucket Challenge videos before — there have been endless unidentified hands, legs, and general limbs. But there's just something special about those gold lame shorts.